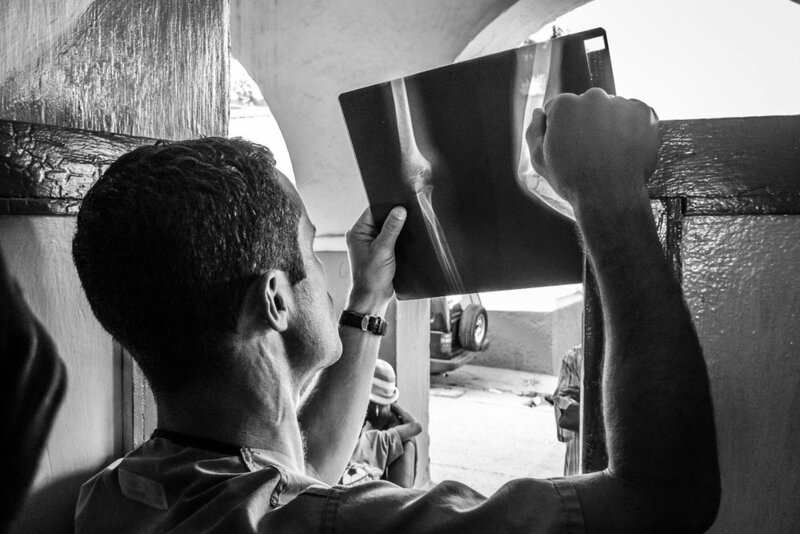 Shortly after completing a fellowship in Pediatric Orthopedic Surgery, Scott Nelson committed he and his family to 5 years of service at the CURE hospital in Santa Domingo, Dominican Republic. 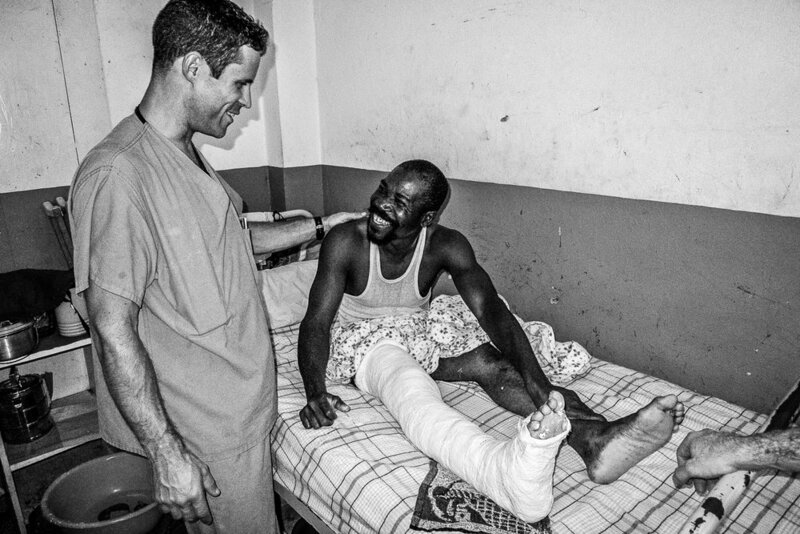 In addition to his clinical load in Santa Domingo, Scott would make 2 or 3 volunteer trips a year to the Justinian University Hospital in Cap Haitien, Haiti. In 2009 I went to the DR to visit and we performed a few surgeries including my first SIGN nail. A few days after I arrived, I accompanied Scott and his team on a six hour bus ride from Santa Domingo to Cap Haitien in Northern Haiti. We arrived in Cap Haitien with several hundred pounds of surgical equipment and supplies that we brought with us from the CURE hospital in Santa Domingo. The first thing we did was check into the Hotel du Roi Christophe, our more than adequate accomodations for the upcoming week. After quickly stowing our personal belongings, we set off on foot through the streets of Cap Haitien to the hospital a couple of miles away from our hotel. Having never been to Haiti before, I must admit that one of my fears was street violence against foreigners, a phobia that turned out to be unfounded. The first order of business was to assess the integrity of the operating room where we detected several issues, including water leaks, that could negatively affect our infection rate. The surgical suite was also infested with insects and rodent droppings were everywhere, in no small part due to the abundant water supply on the floor. In addition to sterility concerns, we checked out the intraoperative imaging equipment, a critical component for successful surgeries. Checking out the serial battery/inverter power supply. Anesthesiologist par excellence, Dr Maria from the DR, is checking out the oxygen supply. Nurse extraordinaire, Lucia from the DR, points to a sign advertising the arrival of the team. Even before leaving the operating room, patients started arriving to be evaluated. 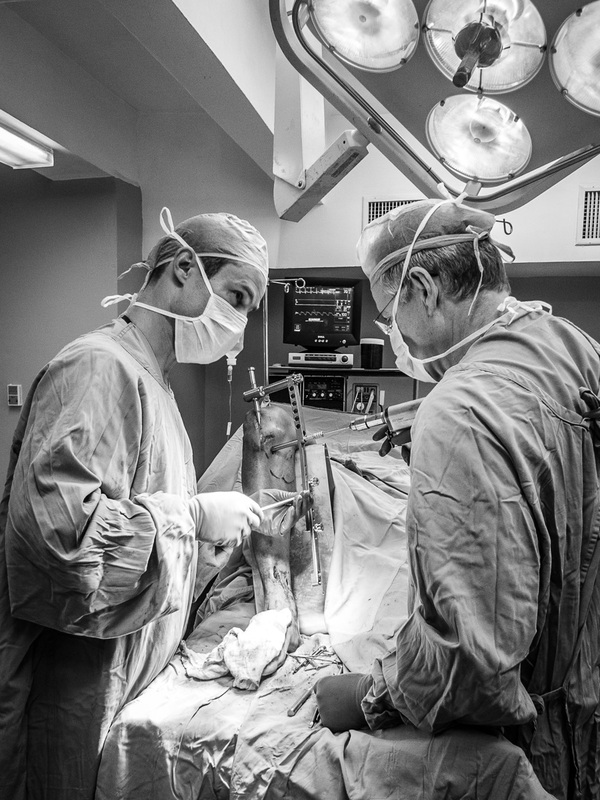 After making sure that the operating room was functioning, we made rounds on the ward to determine how many cases were needing operative intervention. Patient with a tibial plateau fracture and subsequent external fixator application. Patient with femur fracture waiting for surgery. Although seriously burned, this patient endured painful, daily dressing changes with dignity and profound determination. Everyone tucked in, time to head for home. Walking on foot back to the hotel, particularly late at night, was frequently challenging depending on the local political climate. Every morning we met for breakfast including a strong cup of coffee. Morning ritual walking to work. Along the way, Dr Nelson would often encounter grateful, previously surgerized patients. First full day on the job consisted of a mega clinic where we evaluated potential surgical cases. Meticulous records documenting the progress of clubfoot patients. 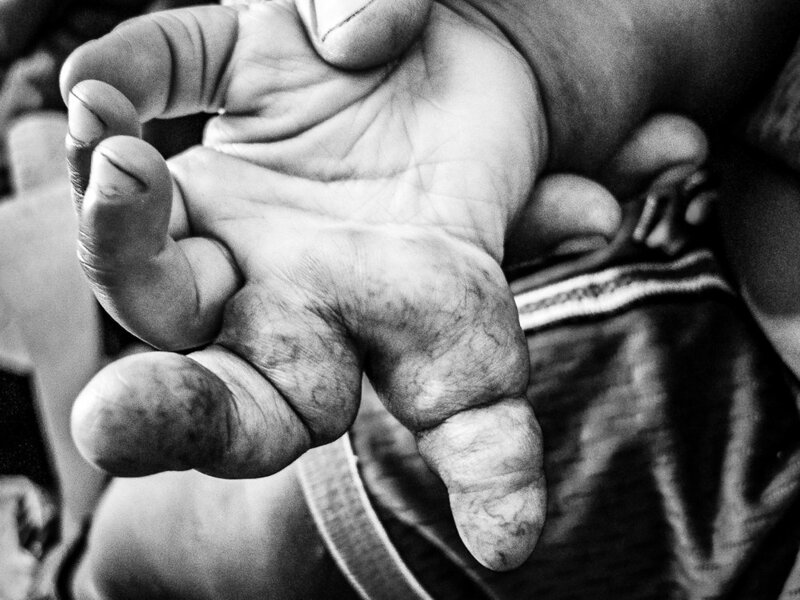 Data was reported to the worldwide CURE clubfoot program. Sisters who sustained supracondylar humerus fractures 2 weeks apart. End of the week team photo.